Soft Cooler Urban Lunch Bag keep food and drink fresh and chilled for longer when out and about. It features the innovative lightweight design that combines space interior with comfortable and incredibly robust exterior. It has front, zipper pocket for drygear storage, 2 x plastic improved food storage boxes lock on 4 sides to provide a leakproof seal for any type of food/liquid - microwave and dishwasher safe. Should Strap and side mesh pockets. 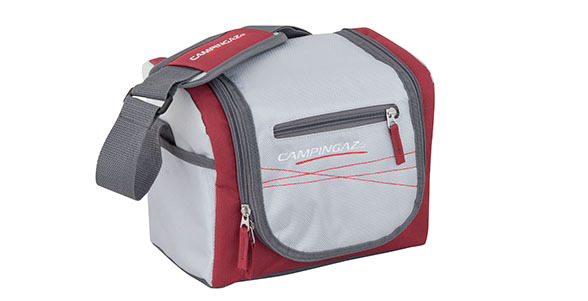 Features: Front, zipper pocket for drygear storage, includes 2 plastic containers for sandwiches or snacks, microwave and dishwasher safe. Should Strap and side mesh pockets.